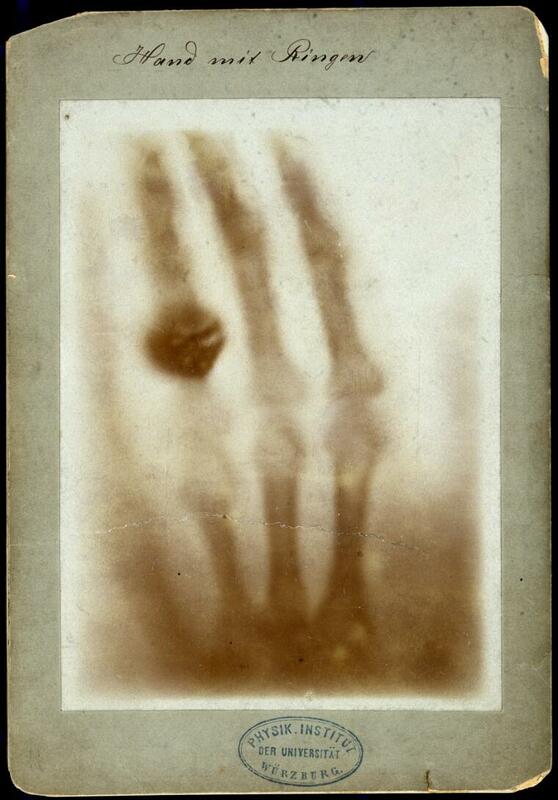 The bones of a hand with a ring on one finger, viewed through x-ray. Photoprint from radiograph by W.K. Röntgen, 1895.